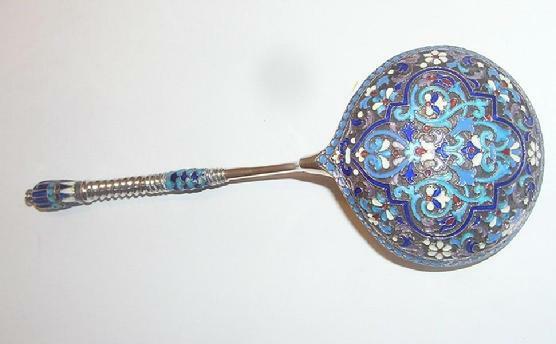 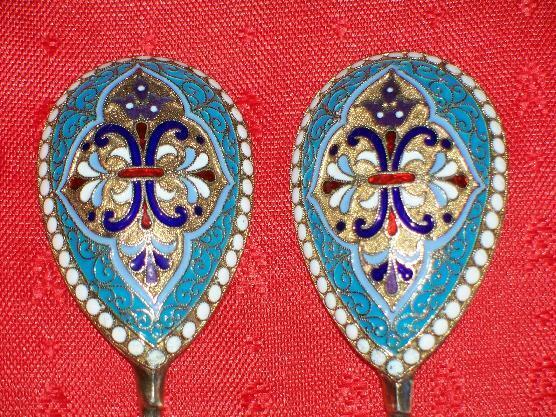 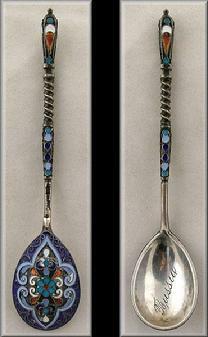 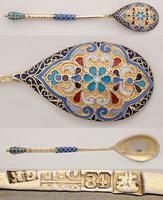 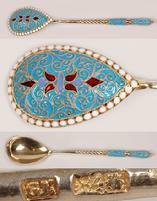 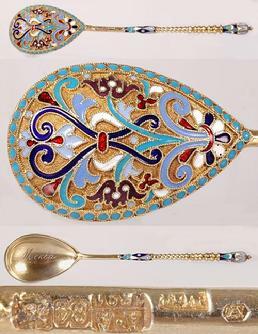 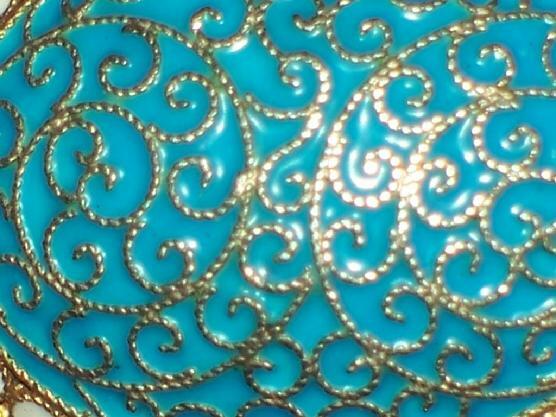 Set 4 monogramed spoons G.K.
1899 Large Russian Silver Cloisonne Enamel Spoon, 7.5/8 "
Gustav Klingert who used to work for Faberge owned a factory of gold and silverware which was founded in 1865 and known until 1916. 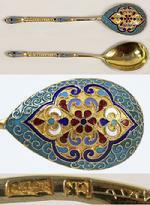 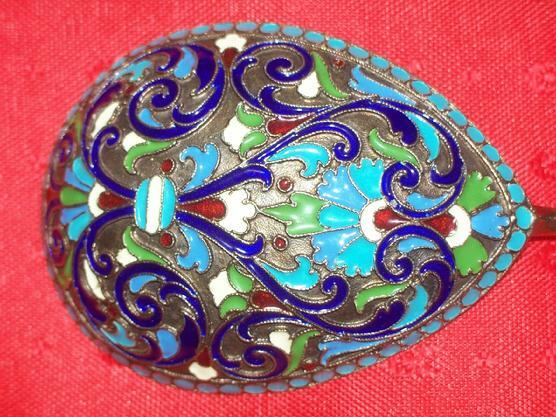 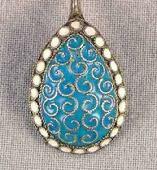 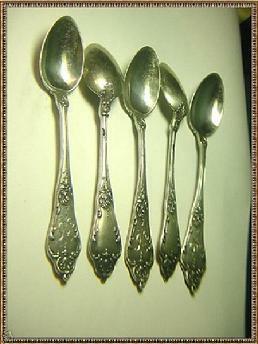 His factory produced a lot of silver enamel items. 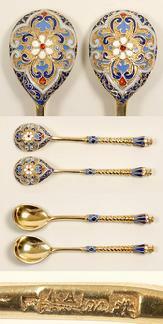 He had 200 workers and 45 teenagers, manufacturing items worth 400,000 roubles. 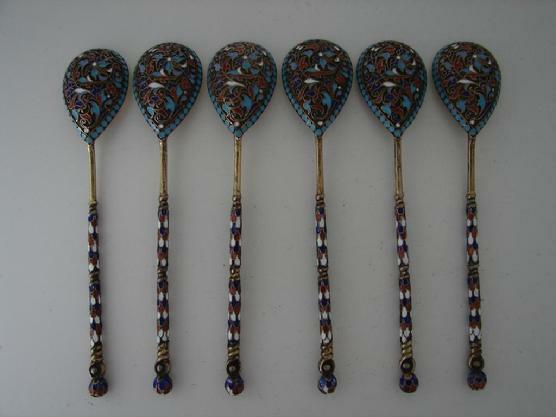 He was a participant in the exhibition in Paris (1889) and Chicago (1893) where his works were granted honourable mentions. 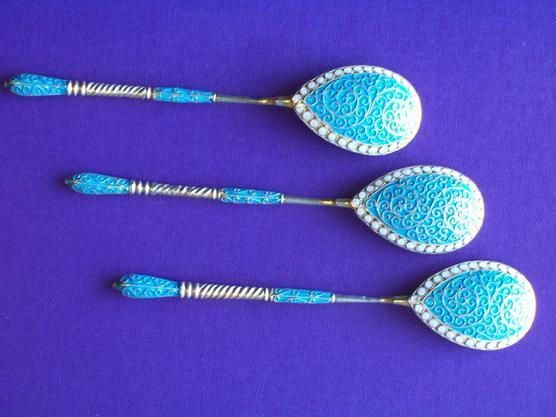 He had 4 sons and grandsons who worked together with him, one of the sons from 1915 to 1917 was a book-keeper of the Moscow branch of the Faberge. 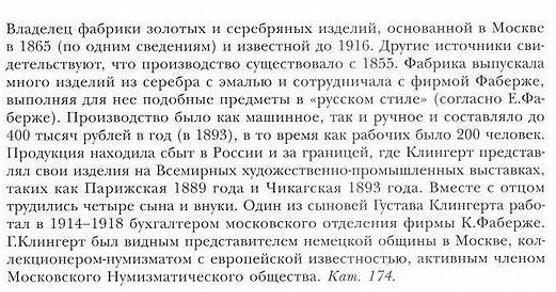 Gustav Klingert was a famous representitive of German ancestry in Moscow.Initials on the hallmark: GK, KLINGERT.